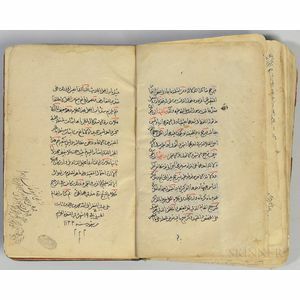 Arabic Manuscript on Paper, Mohammed bin Ali bin Thabit-al-Husseini's Worlds of Opinions , 1122 AH [1710 CE]. 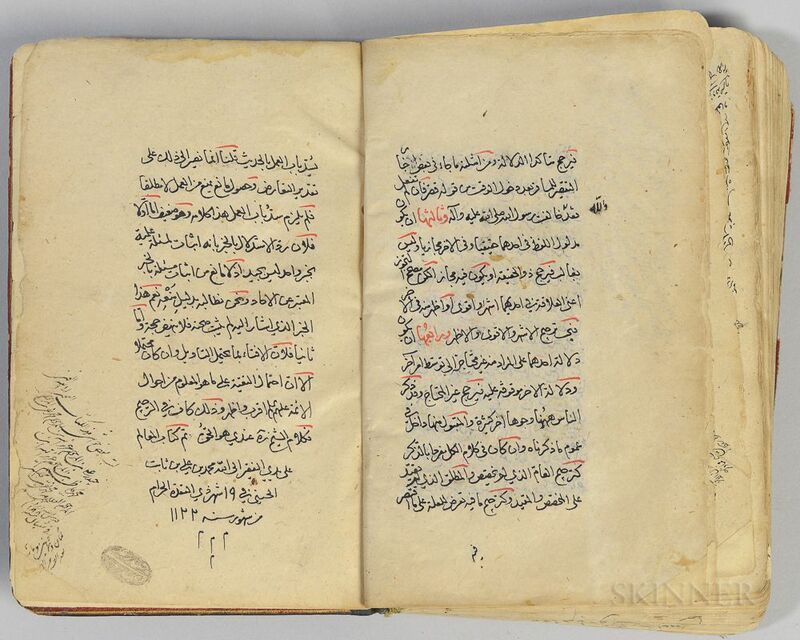 Arabic Manuscript on Paper, Mohammed bin Ali bin Thabit-al-Husseini's Worlds of Opinions, 1122 AH [1710 CE]. Small octavo manuscript on polished laid paper, text in black and red ink, approximately fourteen lines per page, approximately 200 leaves, extensive marginal notes throughout, bound in mismatched boards, rebacked, one board in black goatskin ruled in gold, the other board in brown leather with tooled lozenge, 7 1/8 x 4 3/4 in.